"This post was sponsored by Starbucks as part of an Influencer Activation for Influence Central. I received compensation and complimentary products to facilitate my review." When it snows whats your favorite thing to do? Play in the snow or watch from the window? Me. I love to watch the snow fall, cuddled on the couch, with a soft blanket and a delicious cup of Hot Cocoa. Of course my daughters have other plans, but when you offer them a cup of Hot Cocoa and a movie, they totally love mommy's idea better. Hot Cocoa cures everything, especially the cold and when it's an indulgent favorite inspired by Starbucks® handcrafted hot cocoa, it's even better. 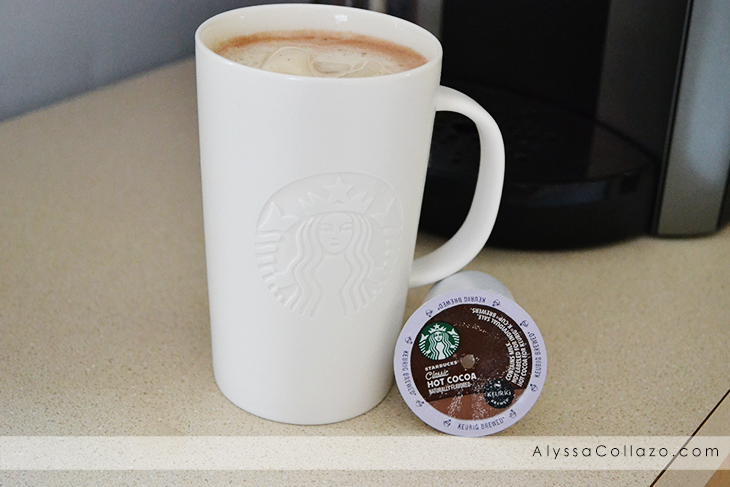 Oh wait, you didn't know Starbucks® created a rich, creamy and made with real cocoa K-Cup® pods? Well, they sure did and it's incredible, from Starbucks® Classic Hot Cocoa to Starbucks® Salted Caramel Hot Cocoa, you just can't go wrong. I know for me, Starbucks® is already part of my daily routine and I love that I can get snowed in and still enjoy a cup of my favorite Salted Caramel Hot Cocoa without leaving my house. All I have to do is pop a Starbucks® Salted Caramel Hot Cocoa K-Cup® pod in my Keurig® brewer and with the press of a button I get lost in the tantalizing aroma and I have the choice to add toppings like Marshmallows and Caramel sauce or enjoy as is. It's that easy. 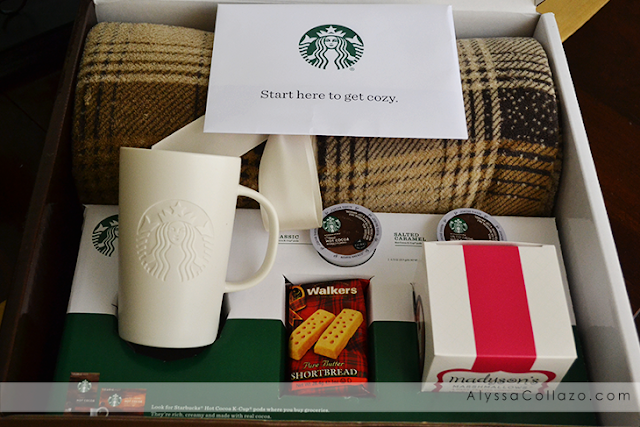 And with the Starbucks® Cozy Collection everything is already included like a special blanket, Starbucks® Classic and Salted Carmel K-Cup® pods, Marshmallows and Shortbreads, a $5 Starbucks Card and exclusive offer on Starbucks® Hot Cocoa K Cup® pods and my favorite thing, a mug to fill with cocoa for a tasty, cozy treat. Everything you need for a Snow Day. 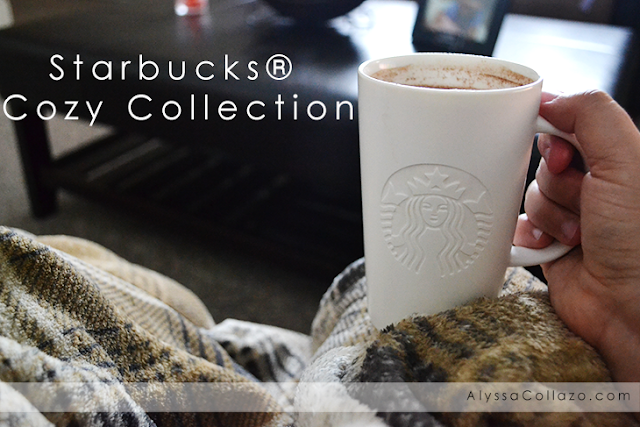 Which in my case, is often..
Want to win a Starbucks® Cozy Collection of your own? Click HERE to enter! And be sure to follow Starbucks® on Facebook, Twitter and Instagram. I love getting myself all covered underneath a blanket with some hot chocolate or tea and just enjoy looking at the weather from inside the house. This collection looks really neat. This looks like the perfect collection. I always like to be covered with a blanket and have a nice warm drink. I missed out on that this winter since it never really got cold. My kids love to play inside the house when it is too cold outside. We then have hot drinks. That's seriously the perfect collection. We're fans of Starbucks and it has been super cold lately. Ohhh, I love Starbucks and this looks so nice right about now. We are sitting with 4 inches of snow, it is freezing, and I would just love a nice cup of coffee … my husband and daughter some hot chocolate. Such a cozy box, love it! What a nice collection. My hubby just loves his Starbucks! And I could definitely enjoy this collection! Love that Starbucks mug!! I also love waking up o the smell of Starbucks in my Keurig! YUM! I need to enter this contest. I would love to have that Starbucks mug. Nice! I would love to have that Starbucks Cozy Collection! Nothing beats curling up under a cozy blanket, with a good book in hand and a cup of hot cocoa! This is a great collection. I'm not a big coffee drinker, but I know many who would love this. This is the perfect package for someone to warm up and stay home with a nice drink of coffee. LOve the mug! I don't drink coffee anymore but I would like to have that mug! Those Walker shortbread cookies are my favorite! I stock up on them. They are great with coffee and perfect with tea. Love the mug, so pretty. My mom loves coffee so I know she would love this! I haven't drank coffee in a long time but I think I may try some soon! I love the Starbucks gift sets! They're always unique and never fail in taste! I love the look if the coffee mug in this one! Thanks for sharing! This would be a great gift for my sister. She is a huge Starbucks fan. This looks like an awesome collection. I love a good cup of coffee on a cold day. I really love that blanket! And you can't go wrong with a mug and cocoa. Love this! Starbucks for the cozy win! I actually drink way too much hot chocolate from Starbucks at this time of the year. I think we should probably own a Starbucks by now with all the money we spend there. You look so cozy with your starbucks. I love getting all warmed up like that too. This looks like an awesome collection! 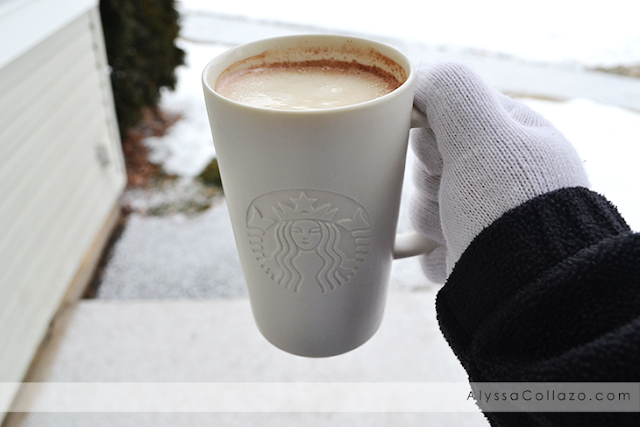 Starbucks is the perfect way to stay cozy through the winter! I love Starbucks and especially love their hot cocoa. Looks like you got some great goodies! Thanks for sharing. I never tried this flavor! We live in a really cold city but we rarely ever get any snow days lol I wish we did! Brrrr you're making me cold! ;) I drink a lot of iced coffee and not hot coffee luckily it doesn't get too cold in Florida!